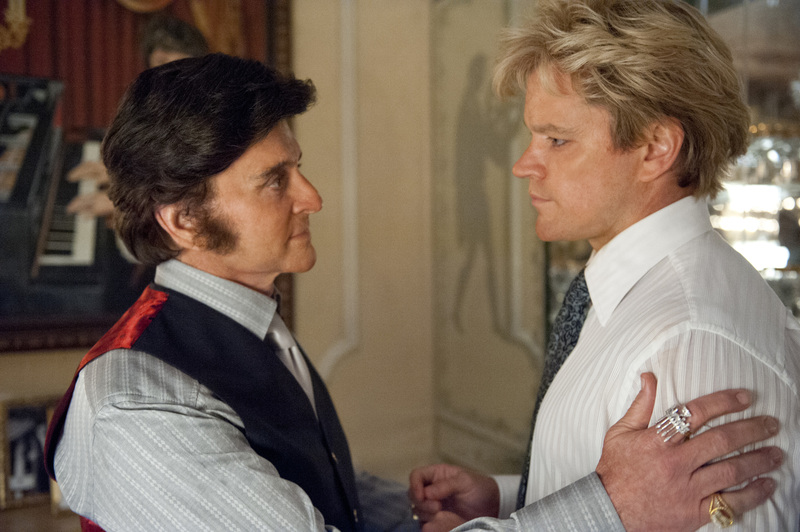 Most critics reviewing HBO’s Liberace biopic Behind the Candelabra mentioned director Steven Soderbergh’s brilliant decision to temper the flamboyance of Liberace’s life with a gritty and unflinchingly realistic framing of the story. Even the slightest tic toward taking the movie over the top could’ve felt like farce, and besides, there was plenty of over-the-topness in the story — the sets, the costumes, the plastic surgery. Maybe Soderbergh overcompensated a little, thus sapping a bit of the joy Liberace clearly took in sparkly and ornate things. But I liked his approach more than the alternative. Because he shot it like any straightforward, serious biopic, he instead brought out both the intimacy and the intensity of Liberace’s relationship with Scott Thorson. He also, through that relationship, focused on the politics underlying their lives, and thus the lives of many gay men in the ’80s. The closest they could get to being married was for Liberace to adopt Thorson, a bizarre realization that ought to send everyone running to do whatever we can to get gay marriage legalized. And how heartbreaking to see people still trying to pretend, even after Liberace’s death, that the great love of his life was a woman! There’s something so devastating about not being acknowledged for your place in your great love’s life — even as an ex-spouse, you get some recognition at the funeral for your loss. And, oh, the vanity! Being gay and famous made Liberace, and thus Thorson, as vulnerable to the pressure to be beautiful and young as women are. I loved the brutal cosmetic surgery sequences — I couldn’t even watch them, which I think is a good thing. We too rarely acknowledge how painful cosmetic procedures are — calling them “nips” and “tucks,” cutesy names that make us forget that this is major surgery. Not to mention that this is the creepy end result. Something about seeing men go through this on screen makes a difference, too, highlighting the inherent weirdness of it all because we’re not as used to it. Most of all, the film normalized even a rather bizarre relationship between two men, something we could stand to see more of as we march toward the (hopefully) inevitable breakthrough of legalized gay marriage.